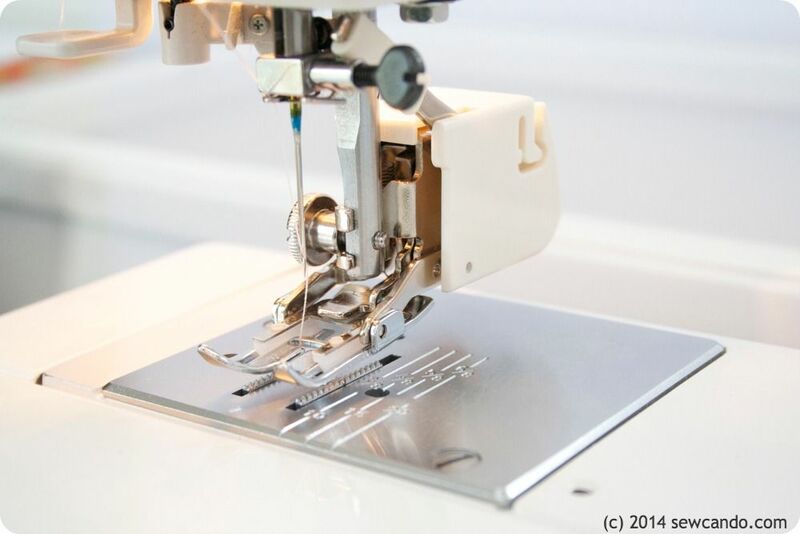 Like many who sew, making stuff for myself tends to be at the bottom of my to-make list. And when I do get around to sewing for myself, it's 50/50 whether I even like how it turns out. Happily, I've just had a good reason to make myself something and I actually love the results! I did some fabric testing for Sahara Fabrics for a new custom-run knit being introduced there: Bamboo Jersey! I'd sewn with bamboo fabric before, but never seen any that was such a nice weight or a more beautiful print. My feedback to Dawn, the owner of Sahara Fabrics, was that this fabric is a total win, so definitely add it to the offerings. Bamboo knit has a softer hand than cotton jersey and a nice four-way stretch. It's also got a fluid, flattering drape, but isn't slippery like polyester knit. This fabric is a nice 12 oz weight, so unlike a lot of bamboo fabric I'd used before, it isn't tissue thin - which means lots more use options and a much easier sew. I especially love the print: Jeweltone Geo. The print is super versatile and the colors are so flattering (I usually can't wear bright/bold prints). It's an easy match to just about every solid color which is an added bonus. 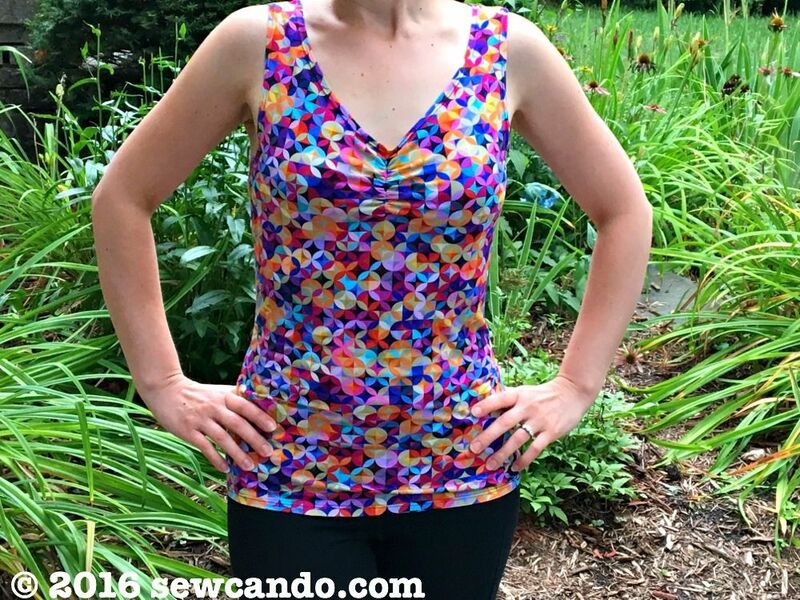 I paired my tank with some basic black workout pants, but it would look great with jeans or a maxi skirt too. 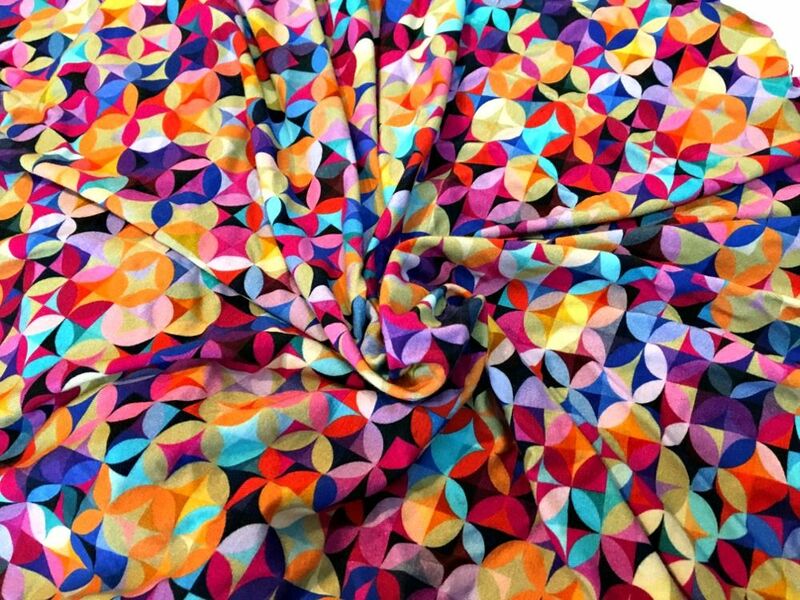 The fabric could also be used to make things like a looser top, leggings, a dress or headbands. Which brings me to my pattern. 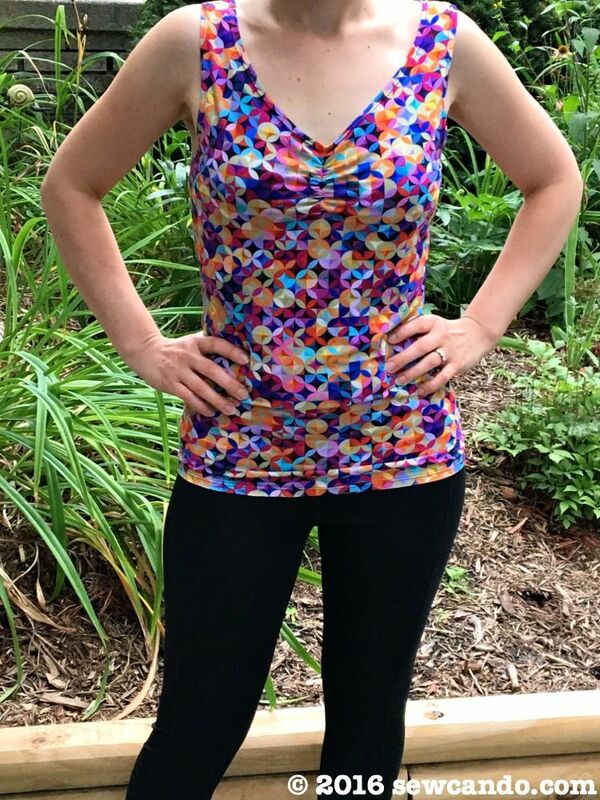 This tank is part of a pattern that also includes a zip front hoodie and yoga style pants: Simplicity 3640. It's now out-of-print, but one of those rare big 4 patterns that actually looks amazing without massive adjustments. I've used the hoodie & pants parts loads of times. If you can find it online - BUY IT!!! I'm trying to figure out what to make with the remnant I still have left. I've got just enough to make a top for my daughter or maybe some bike shorts for myself, unless I can come up with another alternative. I definitely want to make the most of it. 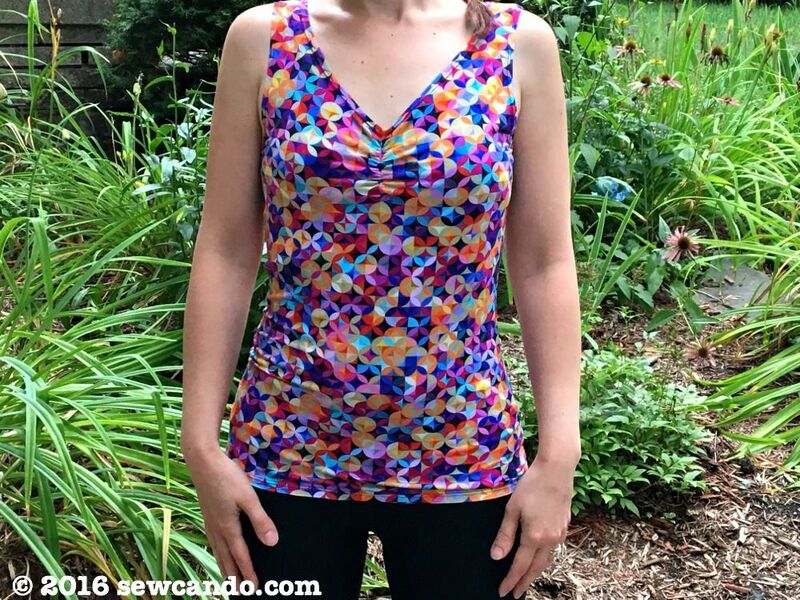 What would you sew with this bamboo jersey? I was not financially compensated for this post. 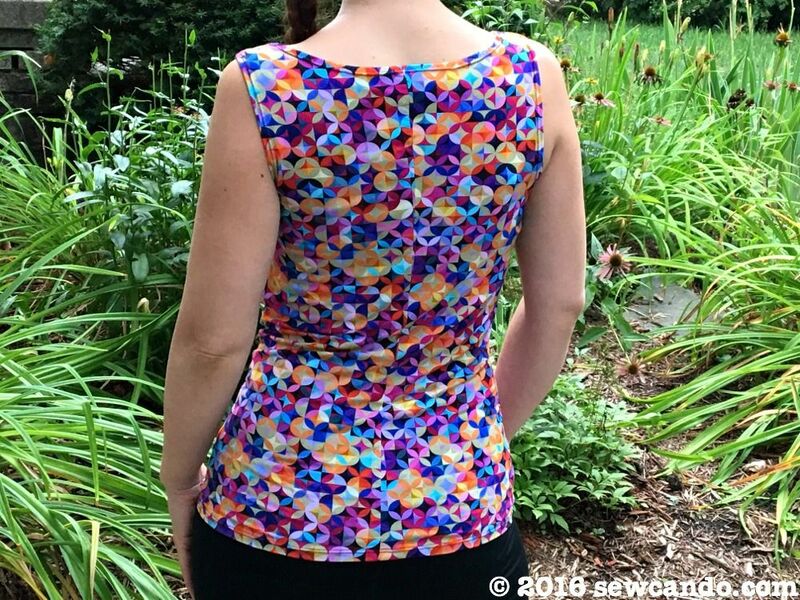 I received bamboo jersey knit fabric from Sahara Fabrics to test sew and was not required to review or promote this fabric or their shop. The opinions are completely my own, based on my experience. For my complete disclosure policy, click here. Thanks - it's definitely re-activated the "sewing for myself" desire! Thats a good idea. I may be able to stretch it just enough for those (no pun intended).